Climb Up To Get Home? Remember the fun to climb up a tree house? It seems hard to imagine to get up a rope to return home every day. Even more, if your house was built on a steep mountain, right? But it’s possible! 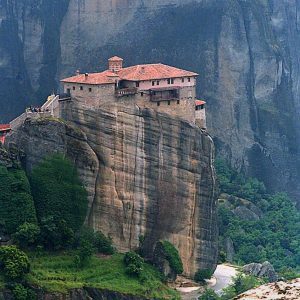 This monastery is located near the town of Kalmbaka in the Meteora region in the heart of Greece. 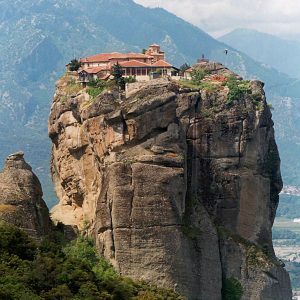 It seems hard, almost impossible, to build a monastery on top of such a steep cliff. Tough it was an ideal place for monks in search of solitude. It was not an easy undertaking to settle on the natural sandstone pillars of the Meteora region. Driven by the need to find an isolated place for their communities, monks constructed almost 1,000 years ago an impressing number of 20+ monasteries on these sandstone mountains. No wonder they are listed since 1988 as UNESCO World Heritage sites. 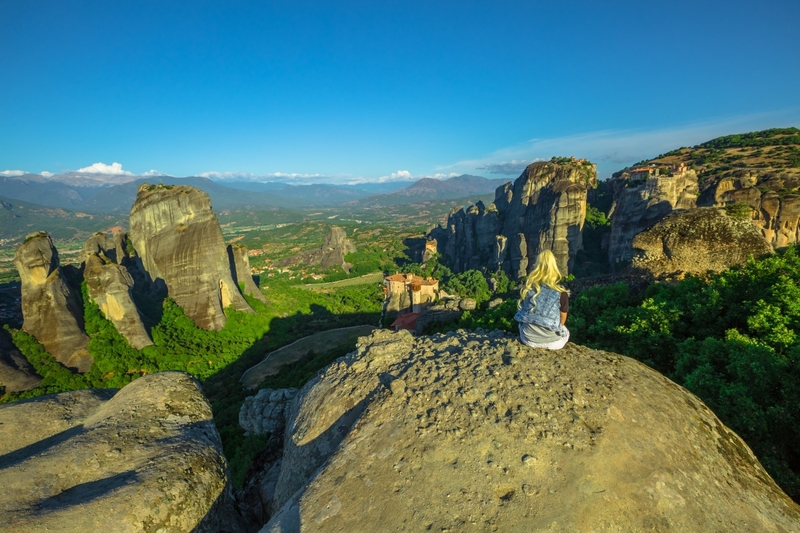 Dare to Visit Meteora in Greece? If you decide to visit the Meteora monasteries in Greece, be prepared for narrow and curvy mountain roads. The monks had to access their monastery either by ladder, net or rope. Nowadays, stairs make it easier to climb up the mountain hermitages. Still – the number of steps varies from 100 to over 300, some followed by an uphill walk. 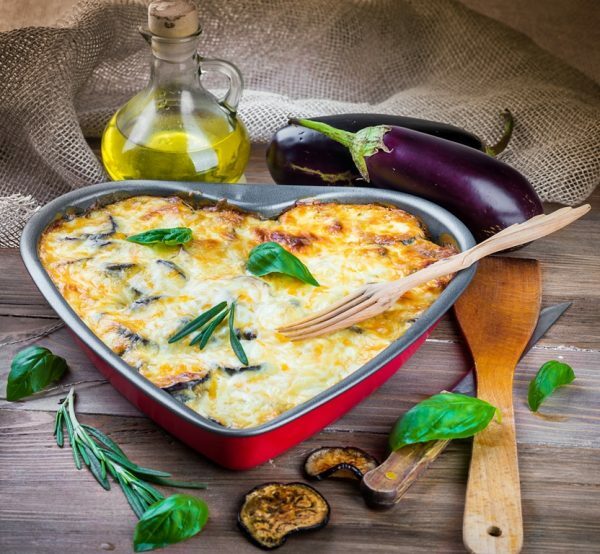 Cook authentic Moussaka is a casserole made with ground lamb and eggplant covered with a thick layer of béchamel sauce. 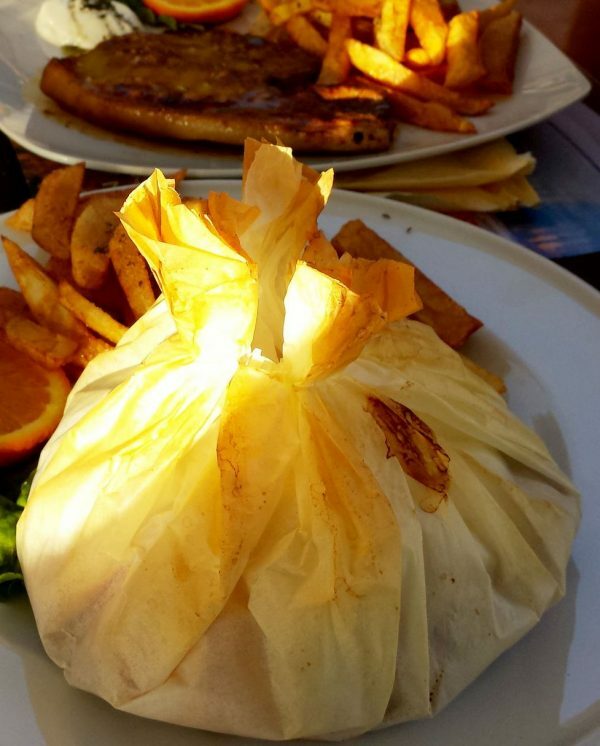 Or try mix with Kleftiko, a lamb dish baked in parchment paper. It’s easy to prepare, fun to eat, and has the rich Moussaka flavor. Get the recipes here!